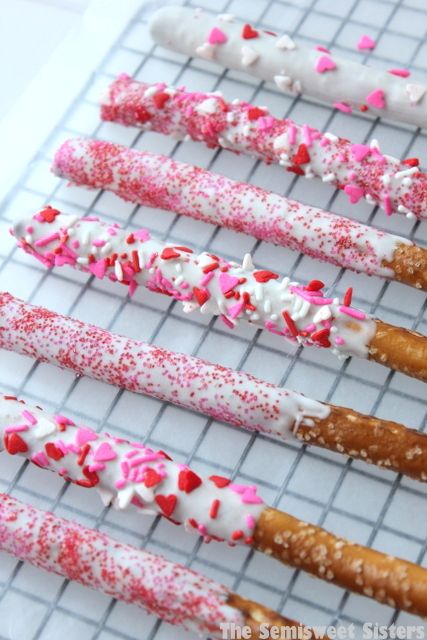 White Chocolate Dipped & Decorated Pretzel Rods for Valentine’s Day! 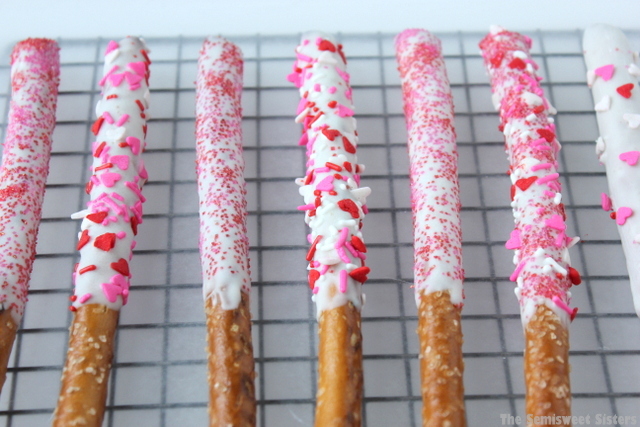 These pretzel rods are so easy to make. 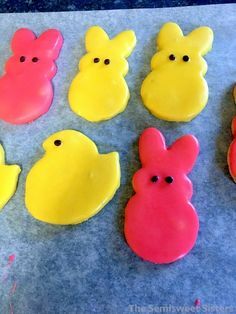 I tend to make them for most holidays because they are the quickest treat I know how to make & the most colorful! I have tons & tons of sprinkles in my pantry. I’m kind of obsessed with buying different kinds of sprinkles. I had a container of cute little red, pink, & white heart sprinkles just sitting on the shelf unopened, unused, I felt like I just HAD to make something so I could use them. I bought them months ago & I’ve been patiently waiting for Valentine’s Day to come around. 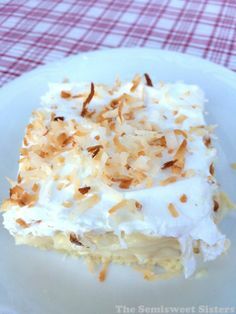 I must have been moving a little slow today or maybe my house was just too cold because half way through making these my white chocolate almond bark started to harden up on me so I had to pop it back in the microwave for 20 more seconds. So if your white chocolate dip starts to get thick & harden just re-microwave it. I melted the white chocolate in a bowl then held the pretzel rod in the bowl while I used a spoon to coat & smooth the white chocolate over it. 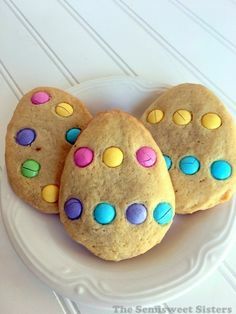 I let the excess white chocolate drain off for a few seconds. Then I decorated it with sprinkles & placed it on waxed paper to dry. 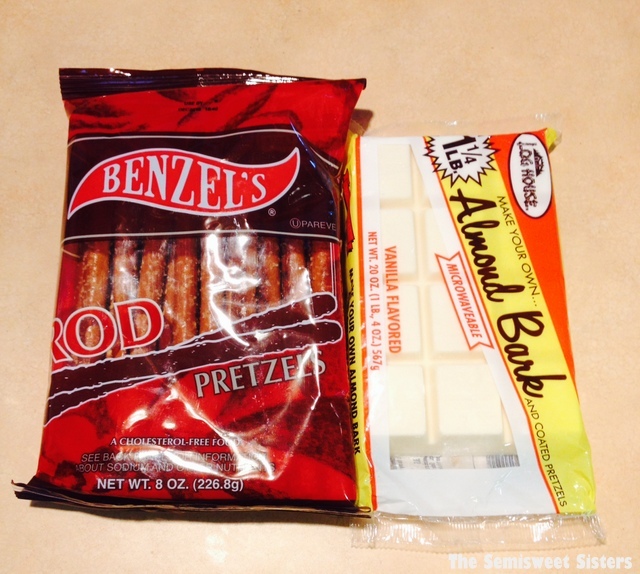 1 Package of Almond Bark, Candiquik Candy Coating, White candy melts, or any white chocolate that is for dipping or coating (You won't need the whole package, probably only 10oz.). 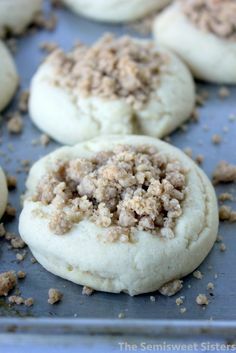 Line a cookie sheet with waxed paper or a nonstick baking mat & set aside. Using a microwave safe bowl or coffee mug, melt your white chocolate in the microwave according to the directions on your package. (For Candiquik Candy Coating & Almond Bark I microwaved mine for 1 minutes, then another 15 seconds). Dip each pretzel into the melted white chocolate & then hold it vertically over the dish for a few seconds so the excess chocolate can drain off the end or shake it a few times. (Or use a spoon to scoop up the melted chocolate & spread it over your pretzels). 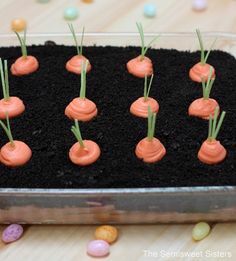 Coat with sprinkles & place on your prepared cookie sheet. 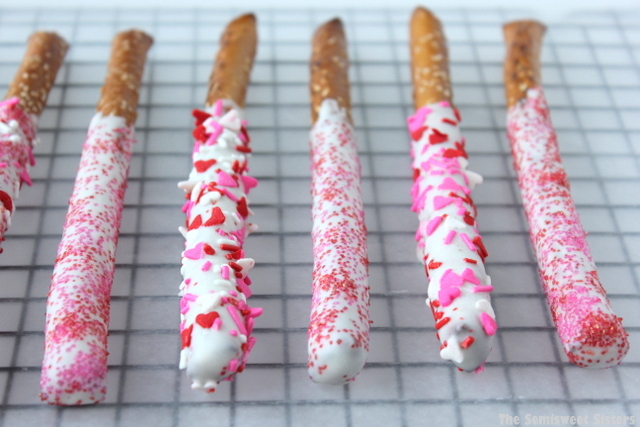 Allow the pretzels to dry, you can put them in the refrigerator for a few minutes to speed up the process. 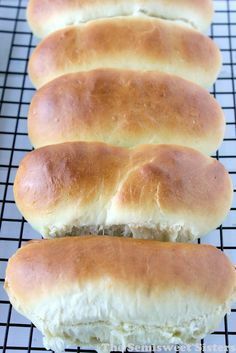 *Note: You can easily make a small batch of these if you want. One square of candy coating coats about 6 pretzels.